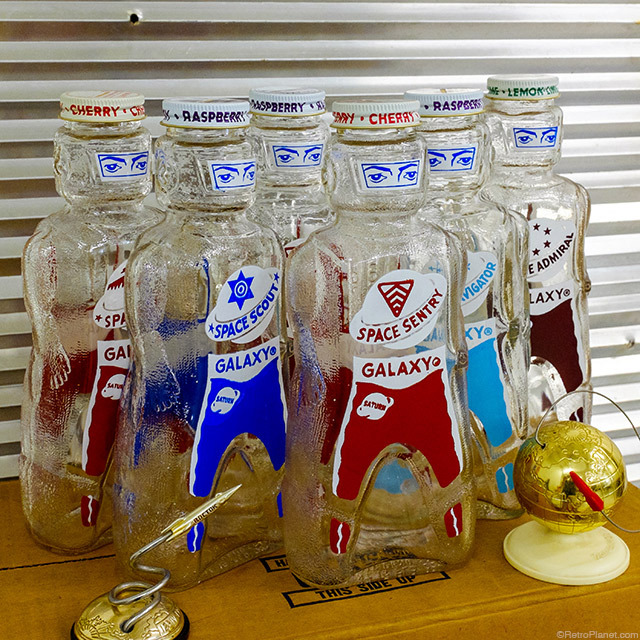 Among the many vintage finds displayed in our office, you can find this collection of cool Galaxy Syrup spaceman bottles. They were made for the Space Foods Company of Baltimore, Maryland around 1953. There isn’t much information available about the syrup manufacturer as it appears they went bankrupt either before or shortly after their product first hit the market. Unused bottles have been found in old warehouses, but virtually nothing is known about the company that came up with this clever mid-century innovation. Please share with us any information you may have. 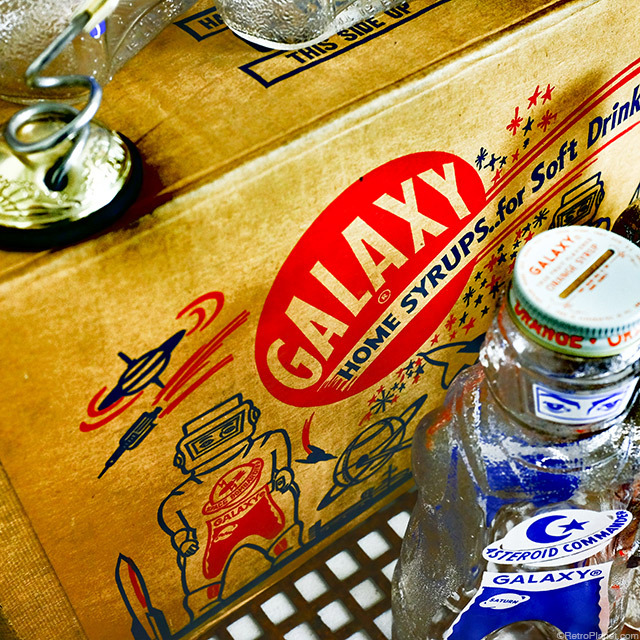 We love the cool retro look of these syrup bottles, made at the dawn of the Space Age. 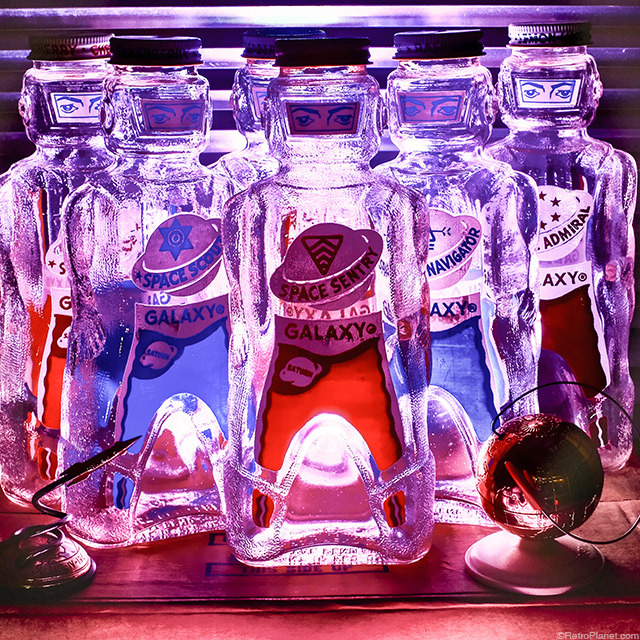 These 16-ounce bottles measure 8.5 inches high and are made of heavy glass. They were to be filled with syrup that was made for use in the home as an additive to carbonated water to make soft drinks. The metal screw cap on each bottle has a slot scored into the center to be punched out for using the empty bottle as a coin bank. 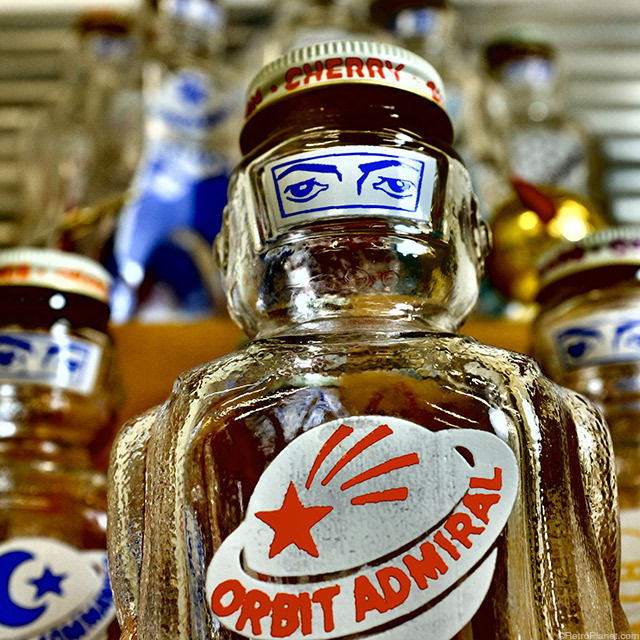 The bottles were designed to represent a variety of mission assignments for the space crew, like this Orbit Admiral. 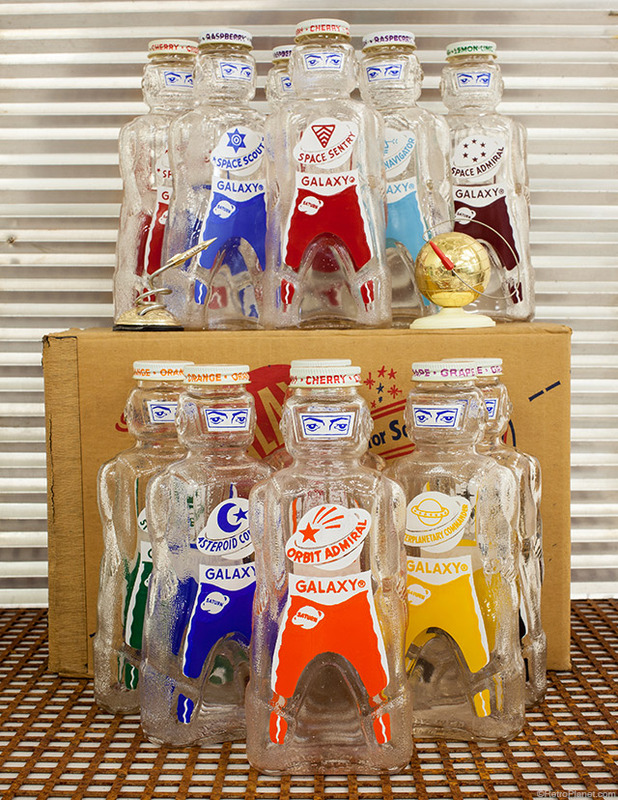 Each flavor syrup was assigned a different color and name, making up a very flavorful space crew! 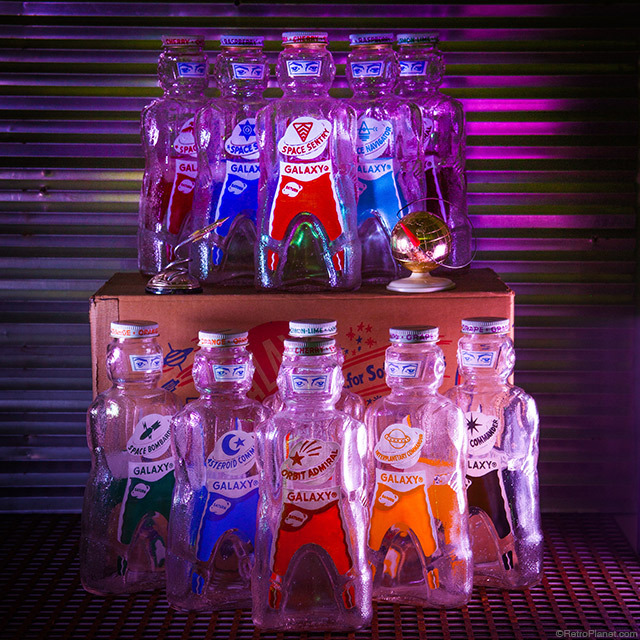 A clever marketing approach for bottled home syrups is evident in these cool atomic age bottles. Unfortunately, the manufacturer went out of business. An idea ahead of its time maybe? Add dramatic lighting—and it looks like we’re having a space invasion! It’s hard to imagine why these space-themed products never took off, but it appears the product never made it to store shelves. In the 1950s—at the beginning of modern culture’s obsession with space travel—you’d think these would have been a great success. Then again, Sputnik wasn’t launched until 1957. Maybe this was an idea just a few years ahead of its time. They were definitely a great idea.